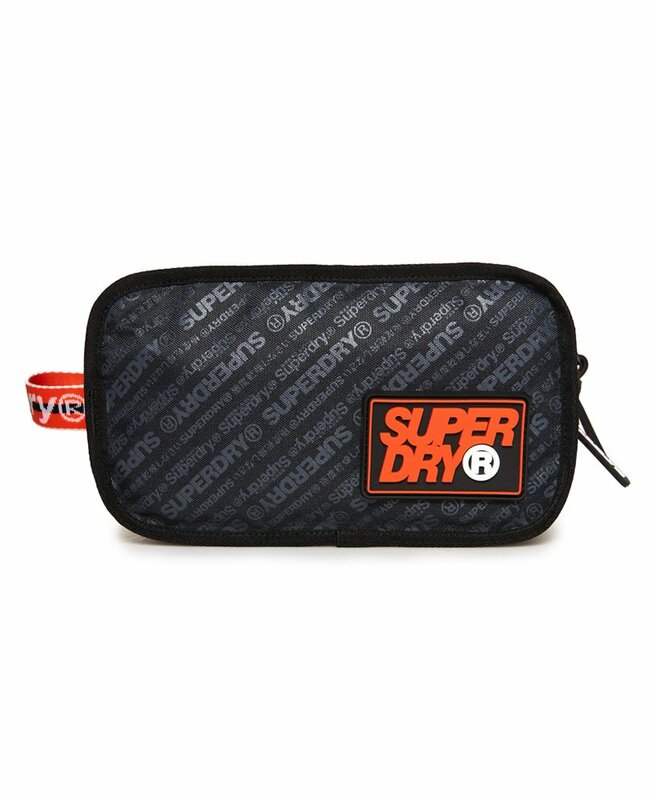 Superdry men's S Boy wash bag. The perfect travel companion, the S Boy wash bag features two large compartments separated by a mesh divider, internal pouch pockets and an external zipped pocket. The wash bag is finished with Superdry branded zip pullers, contrasting colour grab handle and an all over Superdry print.